Lake Baringo National Park, Kenya. October 2010. 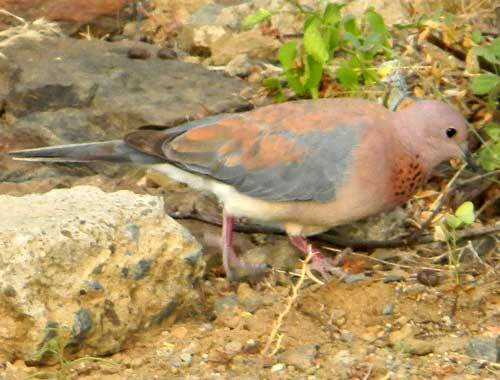 Laughing Dove, so called because of the bird's calling sound, is found throughout Kenya in arid and semi-arid regions. It forages for food on the ground picking grass and other seeds. The best characters for identification are the black speckles in a rusty orange band across the upper chest and the bluish wings against a tawny-pink ground color.